Heavy Planet presents today's "New Band To Burn One To"...BLOOD RED WATER! Blood Red Water formed in the summer of 2010 with Michele (vocals, ex grindcore bands: NAB and Grunter Screams) Fiorica (ex and bass player in Blank Symbol, now at the drum). Michele Fiorica were longtime friends, drinking partners and united by the passion for sludge music so they decided to create something... wicked. Immediately Francesco (of mr. Boonekamp) joined them as guitarist and feedback noise junkie. At first helped by Silvia (of S.M.A.D.) as bass player, then Tarantula (Lorenzo Petri from Gli sportivi , Valium doll) joined ‘em. 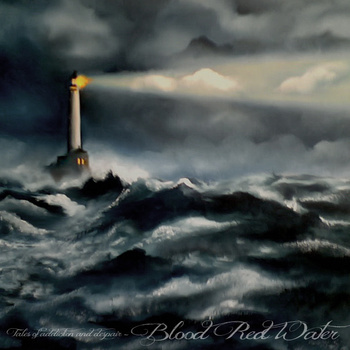 For Blood Red Water it became clear that the band would not be the umpteenth cover band in the zone but their interest/purpose is writing the music they like and feel. All members love bands like EyeHateGod, Eletric Wizard, St. Vitus (list of musical influences is long, very long) but - jam after jam - they realized to not belong to any particular genre. Some tunes are pretty doomy, other tunes could be more into stoner stuff. Blood Red Water lyrics are a merciless portrait of what can save a life or ditch it. Far away from fantasy themes, lyrics give off Michele’s life experience; you can even find redeem words as well as the deepest dopesick despair. At the end of 2011, they entered at the Flameout studio and they did their first 5 songs EP “Tales of Addiction and Despair”. For the time being the EP is in digital format with a free download, but a physical release of “Tales of Addiction and Despair” is coming soon in the pure spirit of D.I.Y. In the meantime line-up is changed: Lorenzo left ‘em and they got a new additional guitar player: Dodi. Now BRW are planning to play live and spread their EP as much as they can. "Lashing out their revenge on the unexpected, Italy's Blood Red Water devastate with a sound that is riddled with psychotic feedback, evil whiskey-soaked vocals and gorey desperation. The grinding distortion unmericifully buzzes through your skull while you are ceremoniously tossed amongst the crashing waves of doom and gloom. This music is wicked and unrelenting, anguished and unyielding, but as the band states. “When life is a stormy sea of addiction and grief, music could be a strong lighthouse”. Indeed!"